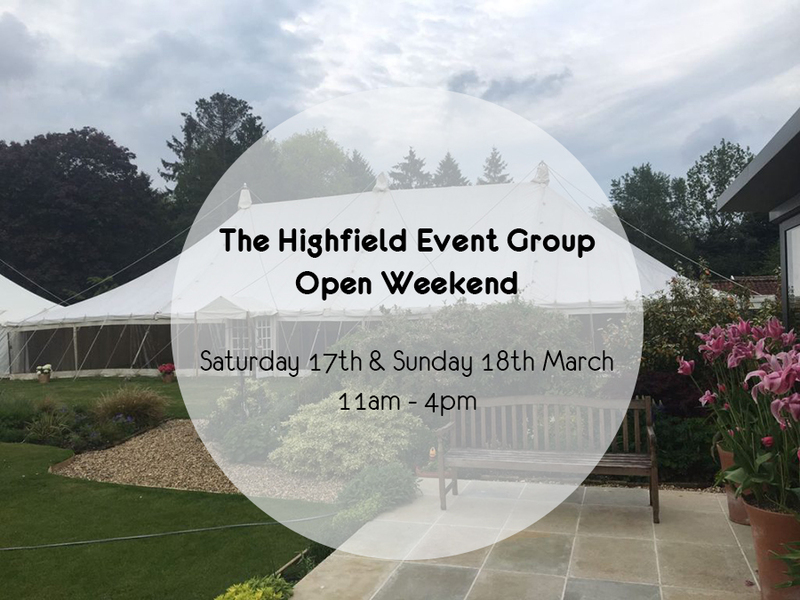 Highfield Event Group invites you to join us on 17th & 18th March 2018 for our Open Weekend at our offices, Klondyke Farm. Call in between 11am – 4pm to view our beautiful marquees and meet the experts to talk through your wedding ideas and party planning. View a range of furniture, linings, dance floors, entertainment, tableware, flowers and lighting options. It is highly recommended to book your non-obligatory appointment please email marie@thehighfieldgroup.co.uk or call the office on 01638 743860. We look forward to welcoming you to the event and helping you create your special day. Keep an eye out on our social media for regular updates.